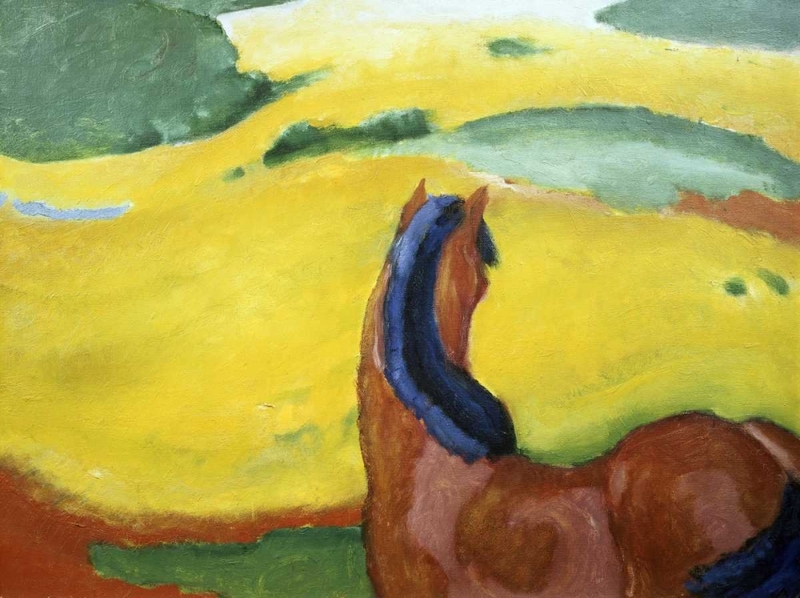 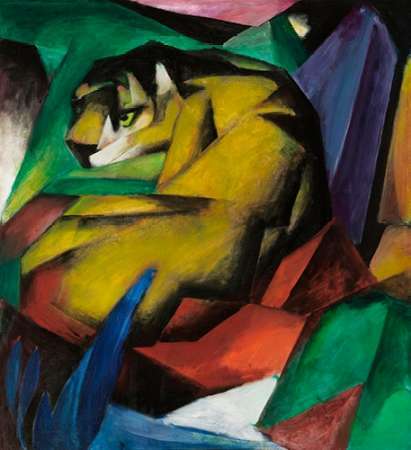 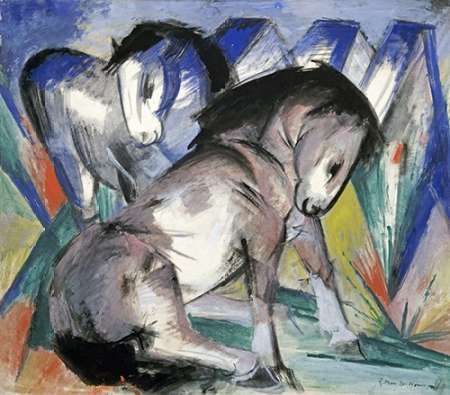 "The German artist Franz Marc was born in Munich in 1880 and studied at the Munich Art Academy.During his education he travelled to Paris several times, where he was influenced by the work of the Impressionists and by van Gogh and Gauguin. 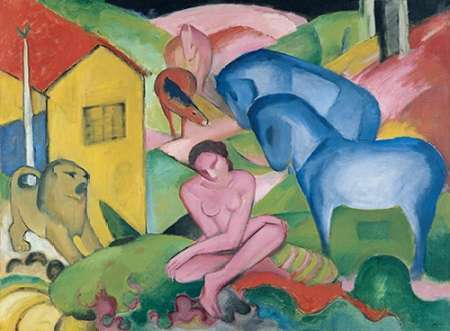 On his return to Germany he founded, with Kandinsky, the extremely influential Almanac “Der Blaue Reiter” in 1911. 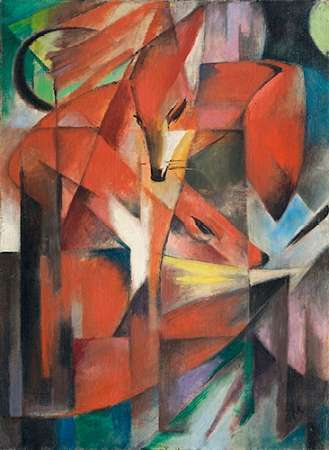 He also became a principal member of the First German Salon d’Automne in 1913.Marc was thus one of the pioneers in the creation of the abstract art movement. 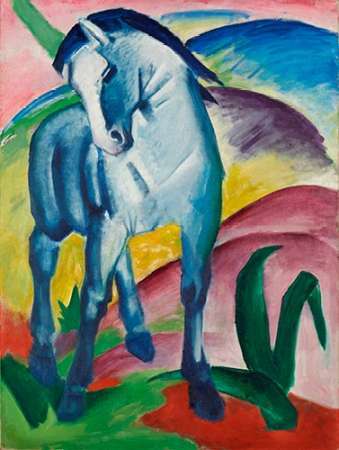 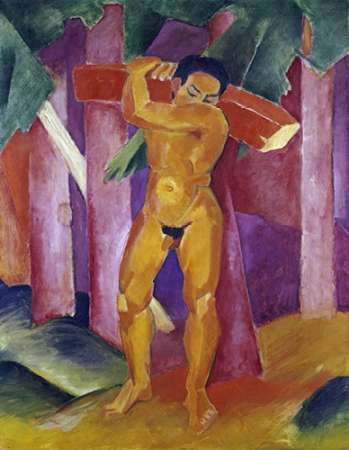 Der Blaue Reiter proposed an artistic system based on the vivid and powerful use of colour stimulated by deeply held spiritual and emotional beliefs. 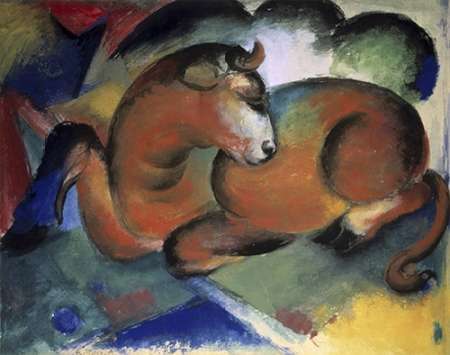 Marc in particular is associated with his paintings in this style of animals, principally horses and dogs.When World War I broke out, Marc volunteered to join the German Army and, tragically, he died near Verdun in France on 4 March 1916. 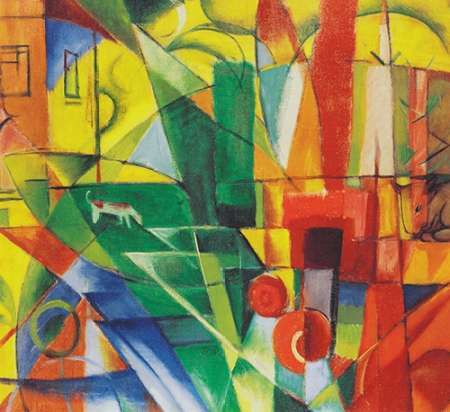 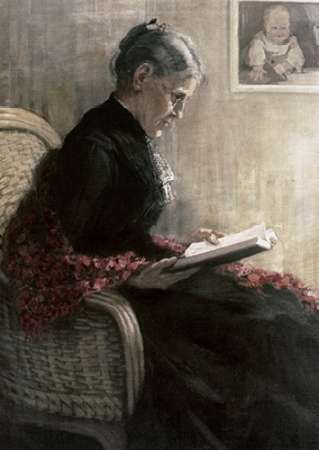 He is today regarded as one of the most important artists of the 20th Century."